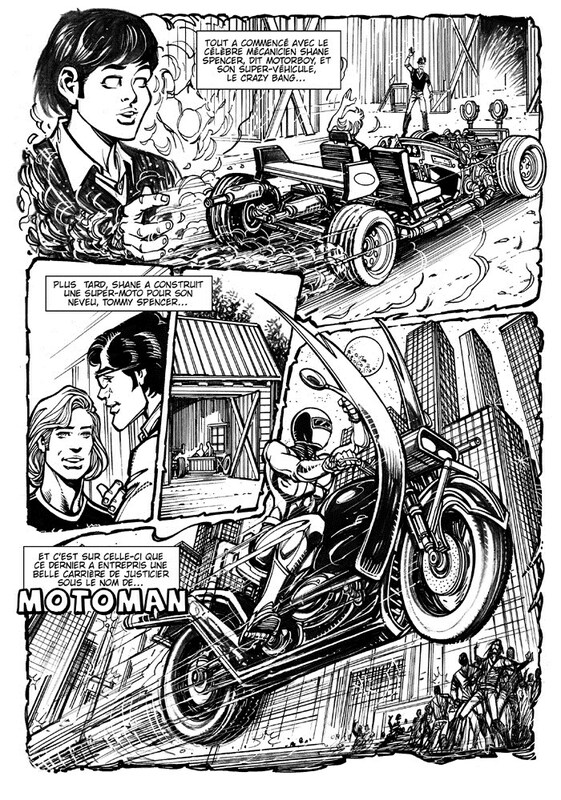 Meek high-school student Tommy Spencer became the "super-biker" Motoman to fight crime. Supporting cast includes school jock James Duncan, nice girl Terry, and cheerlader Myrna, who had a crush on Motoman. At the behest of Archie Bolt, Motoman later joined the super-group known as Kidz. His uncle is the eccentric mechanic and inventor of fantastic vehicles that used to be nicknamed "Motorboy."